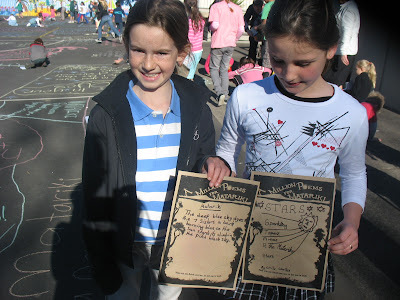 A Million Poems for Matariki is rolling along north of the harbour bridge as schools in the Devonport/Belmont area get busy with posters, sharpies and pavement chalk. 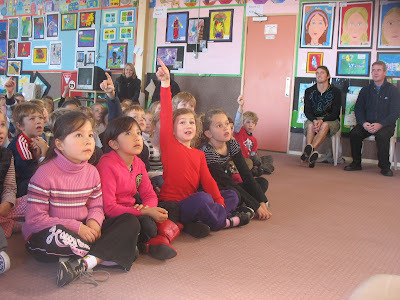 David Eggleton was at Belmont Intermediate last week firing up the poetry motors. 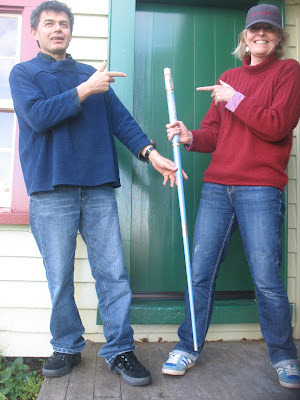 He has been in Auckland since April as one of the Michael King Writers in Residence, working on a new book and reading all over the city. 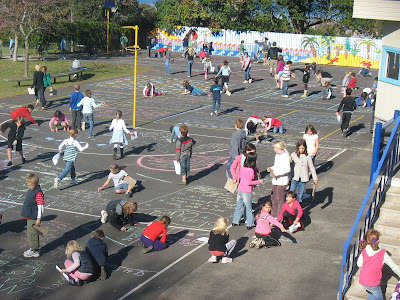 On Friday 19 June David looked out the front door of the Writers’ Centre on Mt Victoria/Takarunga and saw below him around 200 chalk poems going onto the playground at Devonport Primary School. 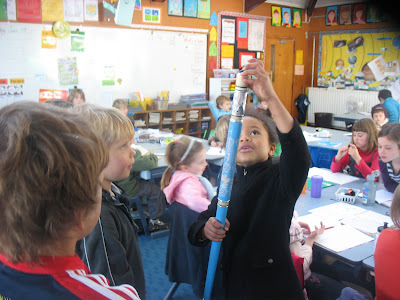 The weather continues crisp and clear so the poems are still there under bright solstitial sun and the stars of Matariki, now visible in the northeastern sky before dawn. 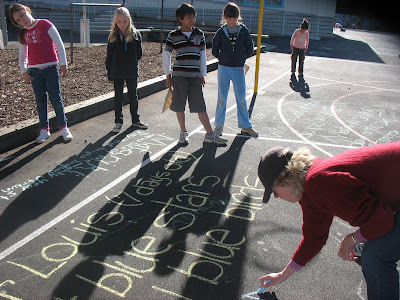 Michele chalks a Matariki poem.